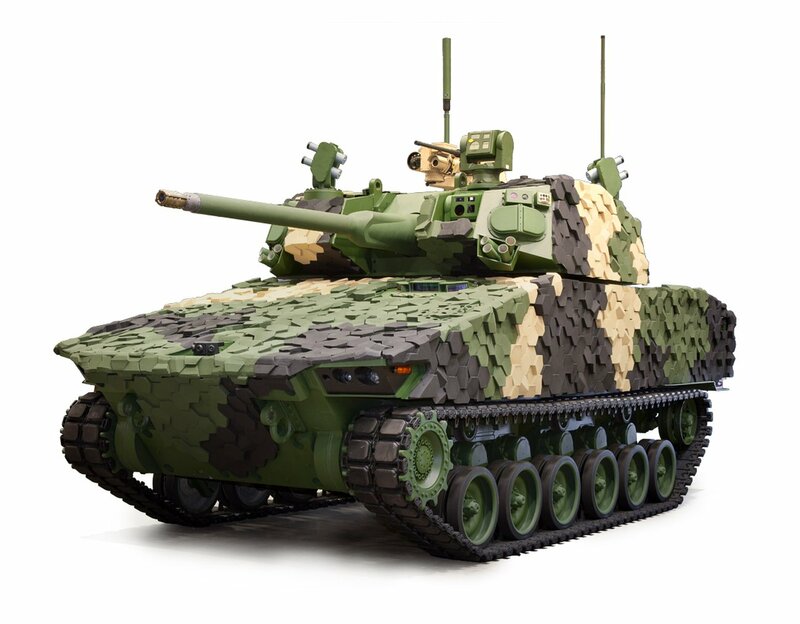 General Dynamics Land Systems (GDLS) has unveiled its new Griffin III technology demonstrator, which the company is hoping will help the US Army inform future requirements for the service’s Next Generation Combat Vehicle. Making its debut at the AUSA 2018 exhibition in Washington DC, the vehicle is based on an ASCOD chassis and incorporates a newly-developed autoloading turret with a 50mm cannon developed by the US Army’s Armament Research, Development and Engineering Center. The vehicle builds on work already carried out by GDLS on the US Army’s Mobile Protected Firepower programme, where the company is offering the Griffin II. The second iteration of the Griffin platform features a modified Abrams turret with a 105mm gun. The Griffin III on display at AUSA would be able to accommodate up to six soldiers and, depending on developments in areas such as artificial intelligence, could be operated by a crew of just two. According to Mike Peck, the director of BD at GDLS, the turret design including the width and height has been heavily influenced by the large developmental 50mm gun. The turret is the same width as the vehicle itself, owing to the large dimensions of the ammunition, while the height of the vehicle is increased to enable the barrel to elevate up to +85 degrees. The barrel can also drop to -20 degrees in elevation. Peck told Shephard firing trials of the gun and turret would likely take place next summer, although not on a vehicle chassis. Design of the turret has taken around a year and a half, and if necessary can incorporate an already-qualified 30mm gun if required. This, according to Peck, offers the US Army a growth path to larger weapon systems when their development is finalised. The vehicle’s gross vehicle weight is ‘a little less than 40t’, although this is without additional armour, added according to Peck. The platform on display at AUSA also featured an Iron Fist Active Protection System, along with a unique hexagonal camouflage called Tacticam from Armorworks that is designed to reduce a vehicle’s signature. Other features of the turret includes cannisters for loitering munitions, as well as advanced optics in the form of Wescam’s MX-GCS. Vehicle situational awareness and protection are also improved through the integration of an all-round vision system and laser warning sensors.